Felicity Ford (aka Felix) is an inspiration and a joy to meet and know. She has a straightforward approach to the creative process and a philosophy for appreciating and paying attention to daily life. 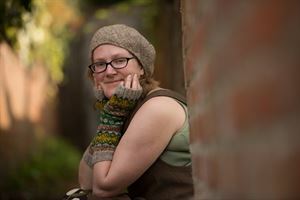 Her first book, KNITSONIK Stranded Colourwork Sourcebook was funded by a Kickstarter campaign and is a pleasure to sit and read. You can find out more about it by clicking the link below.